The CCCTG is a national organization of more than 350 individuals with research interests in the management of the critically ill patient. The CCCTG has more than 75 research programs underway and over 260 peer-reviewed publications to its credit, with direct impact on clinical practice in critical care. Endorsement by the CCCTG communicates our full commitment to ensure that the work is undertaken in a rigorous & ethical manner, and communicated in a timely & effective way to maximise impact. Leading Science, Saving Lives — 5-year Strategic Plan to further enhance the impact of the CCCTG in Canada and around the world. The Canadian Critical Care Translational Biology Group (CCCTBG) is a collegial group that is dedicated to the pursuit of excellence and promotion of translational research related to critical care conditions. 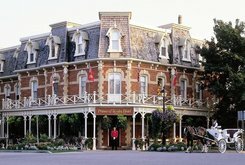 The Spring 2019 Scientific Meeting of the CCCTBG and CCCTG will be held at the Prince of Wales, Niagara-on-the-Lake ON. The CCCTBG (June 9-10, 2019) and CCCTG (June 10-13, 2019) meetings are for members only. The online registration will open on April 12, 2019. The CCCTG Patient and Family Engagement Committee has just launched the new website for patients and families who are experiencing, or have experienced, critical care. The purpose of the website is to support and engage patients and families in research. The CCCTG is thrilled to support Drs. Nadia Roumeliotis and Oleksa Rewa so they can add to their experience by engaging in critical care research. We are thankful to our partners, Fonds de recherche santé Québec and Alberta Health Services through the Critical Care Strategic Clinical Network for their contributions to the CCCTG Fellowship Program. The RECOVER Program, lead by Dr. Margaret Herridge aims to elucidate the impact of critical illness and the caregiving situation on patients' and caregivers' long-term physical function and mental health. 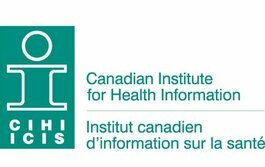 The CCCTG contributes to the development of the report from the Canadian Institute of Health Information (CIHI) about the care in Canadian intensive care units. Click Learn More to access CIHI's report. The TBI-Prognosis study aims at developing a prediction model to help provide objective information to patients and families on long-term prognosis in critically ill patients with severe traumatic brain injury. This multicenter prospective study is conducted by Dr Alexis Turgeon and a team of colleagues in 17 centers across Canada. Enrolment in the study has just been completed and 12-month follow-up outcome measures are ongoing. François Lamontagne and the OVATION team have published the results from the pilot sutdy. Click Learn More to view a video from Dr. Lamontagne and colleagues explaining the trial and the use of vasopressors in critically ill patients. 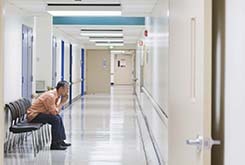 Acute kidney injury (AKI) is a common and increasingly encountered complication of critical illness. 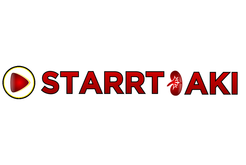 The STARRT-AKI research program aims to investigate strategies to starting acute renal replacement therapy in critically ill patients with severe AKI. Researchers from the CCCTG investigated factors influencing the impact of clinical trials. Authors found that investigator-lead clinical trials increasingly shape the knowledge base of critical care, in particular trials led by investigators within structured critical care research consortia. Click Learn More to read the full article. 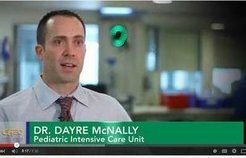 Dr. Dayre McNally, physician in CHEO’s pediatric intensive care unit, investigates how optimizing Vitamin D levels can help treat critically ill children. Click Learn More to view Dr. McNally's video. 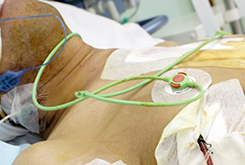 Prolonged mechanical ventilation and failed extubation harm patients. 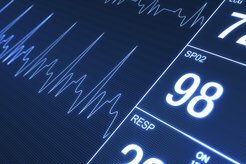 The WAVE score is able to predict extubation failures better than simple vitals, clinical impression and commonly used indices, in particular in patients perceived as high-risk. All critically ill, mechanically ventilated patients in the Intensive Care Unit receive medications to relieve pain and anxiety. However, accumulation of these medications can be associated with serious complications. 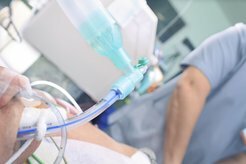 Researchers from the CCCTG compared sedation strategies in critically ill mechanically ventilated patients. Article in Critical Care Medicine showed that it is feasible and acceptable to study the natural history of death after withdrawal of life sustaining therapy in the ICU. 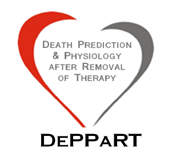 The DePPaRT study aims to aims to provide much needed information to provide guidance to "donation after circulatory death (DCD)" practice. The OPTICS research program lead by Drs. John Muscedere and François Lamontagne aims to understand differences in priorities between patients, citizens, decision-makers and researchers about research priorities and outcomes assessment in critical care clinical research. Click on Learn More for a short video (in French only) presenting the OPTICS study. Blood used for transfusions is perishable. 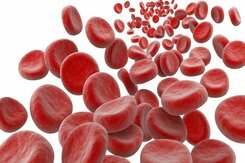 But contrary to general belief, results from a new study from CCCTG researchers published today in the New England Journal of Medicine shows that blood stored for three weeks is just as good as fresh blood. 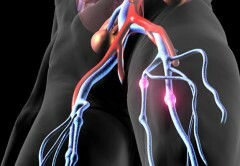 The results of the PROTECT Trial and the recent corresponding cost-effectiveness study showed better health outcomes and overall, lower health care costs when using low molecular weight heparin dalteparin for the prevention of venous thromboembolism in the ICU. Request for applications for the Education Travel Award 2019. The submission deadline is Friday April 26, 2019 at 5pm EDT. The CCCTG 2019 Research Career Development Day will be held in Niagara on the Lake ON, June 10-11, 2019. The CCCRCG Spring 2019 Workshop will be held in Niagara-on-the-Lake ON June 10, 2019. The CCCTBG Spring 2019 Scientific Meeting will be held in Niagara-on-the-Lake ON, June 9-10, 2019. The CCCTG Spring 2019 Scientific Meeting will be held June 10-13, 2019 at the Prince of Wales Hotel, Niagara-on-the-Lake ON. 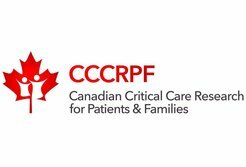 The Critical Care Canada Forum 2019 will be held in Toronto ON, November 10-13, 2019. The CCCTG is adopting a Code of Conduct Policy. The CCCTG is adopting a policy to support diversity in its governance and sponsored activities. World Sepsis Day is on September 13, 2018. Support this initiative led by the Global Sepsis Alliance. We are pleased to announce the CCCTG 2016 Annual Activity Report is now available. Click Learn More to access it. In recognition to his exceptional contributions to the promotion of critical care research through mentorship, Dr. Henry T. Stelfox receives the 2017 Deborah J. Cook Mentorship Award. Dr. Giuseppe Pagliarello receives lifetime achievement award in organ donation from Trillium Gift of Life Network. Paul Hébert receives the Research Chair Fondation Héma-Québec-Bayer in transfusion medicine from l'Université de Montréal. Kusum Menon receives a Tier 2 Research Chair in Pediatric Shock from the University of Ottawa! A branch of medicine concerned with life threatening conditions requiring sophisticated organ support & invasive monitoring. Over 350 peer reviewed publications, including 17 in the New England Journal of Medicine.